Dr. Meyer is Scottsdale’s first Certified Biological Dentist (IABDM) and an educator in the field of homeopathic dentistry around the world. Our goal is to provide you with quality information about holistic dentistry and a sense about who we are as a holistic dentist. As you peruse the pages here we hope to instill in you a high level of confidence in our knowledge and ability in the homeopathic dentistry field, resulting in a positive decision to visit our practice. Knowledge is power and an empowered patient is a strong ally. We strive to forge a partnership between those coming for care and our team of caregivers. We find the best results for all occur when this aspect of the relationship is strong. So grab a cup of herbal tea or coffee, sit back and enjoy the learning experience. 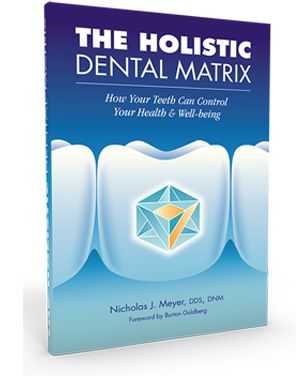 Click here for our educational holistic dentistry video library. Holistic Dentistry and the testing & treatments used in the practice are not always well known. We’ve compiled a list of the most commonly asked questions in our office with the hope that they will help guide you as you research the solution for your specific situation. We offer a wide variety of holistic dental services and provide treatment for causes of pain and suffering caused by Temperomandibular disorders, headaches as well as cavitations and sleep apnea. Find out why our clients love us and we are referred around the globe. Unfortunately even those with Dental Insurance can end up with costly bills, especially if the procedure is strictly cosmetic. Millennium Dental offers CareCredit Dental Financing. CareCredit is a dental credit card that can be used to make your dental procedure payments more affordable.